One of the highlights of this year’s Annual Meeting was the opportunity to recognize and celebrate the selection of our Army’s Best Warriors, the Noncommissioned Officer and Soldier of the Year for 2017-2018. The 16th annual Best Warrior Competition began at Fort A.P. Hill, Va., on Oct. 1. Competing in this year’s competition for the coveted Sergeant Major of the Army Jack L. Tilley award were 11 NCOs and 11 soldiers representing 11 major commands and their assigned organizations. This year’s Noncommissioned Officer of the Year is Staff Sgt. Ryan McCarthy representing the Maneuver Support Center of Excellence, Fort Leonard Wood, Mo., U.S. Army Training and Doctrine Command; and the Soldier of the Year is Spec. Hazen D. Ham representing the 2nd Battalion, 35th Infantry Regiment, 25th Infantry Division, Schofield Barracks, Hawaii, U. S. Army Pacific Command. Starting on day one until the announcement by the Sergeant Major of the Army Daniel Dailey during the SMA Awards Luncheon at the AUSA Annual Meeting and Exposition, none of the competitors knew where they ranked in the competition or how they performed in any of the competitive events. Ham, the Army’s Soldier of the Year, also said he never thought at any point in the four-day competition that he was winning because his fellow competitors were just as good. “Just the caliber of the soldiers I’ve competed and trained with, I really feel like we competed with each other and not against each other,” said Ham. Ham said the toughest part of the competition for him was the cumulative stress from event to event over the four-day period. All the competitors competed as individuals throughout the competition consisting of phase one at Fort A.P. Hill and phase two at the Pentagon. Adding to the isolation of the competition, all the human interaction during the competitive events were directly related to the role players who served as evaluators. Starting on the first day with a situational briefing that placed the competitors in a fictional country as military advisors, assigned to provide their military expertise in a series of challenging covert operations to take place over the four-day period. First, the competitors had to demonstrate to the “embassy” leadership that they had the fitness and endurance to complete the covert patrols and operations as individuals. Going far beyond the standard three-event Army physical fitness test, these competitors faced a multi-event physical fitness assessments that included pushups, sit-ups and a 2-mile run coupled with lifting, carrying, climbing, rolling and sprinting their way to the completion of this initial task. As all the competitors finished this physical challenge, they carefully selected the equipment they would need for the next several days, packed their rucksack and moved 15 miles to their basecamp for continued operations. Arriving in the basecamp by late afternoon, each competitor was given a written examination of general military topics to complete before preparing for the next phase of the competition. Over the next three days, the competitors navigated through a series of situational training exercises, as individuals, navigating to their first point, accomplishing the mission assigned and gaining the information needed to navigate to their next location. Embedded in the competition, competitors completed a graded essay on an assigned topic, conducted media interviews, reacted to and engaged the “enemy” with weapons, and demonstrated knowledge of numerous Warrior Tasks and Battle Drills during the exercises. Additionally, the competitors faced a series of mystery events on the last day to test their leadership skills and resourcefulness. All the competitors completed phase one of the competition at Fort A.P. Hill to advance to the second phase; the dreaded appearance at the Pentagon before a panel of the most senior sergeants major from across the Army testing their knowledge, appearance and military bearing. Finishing in second place was Sgt. First Class Brenden C. Shannon representing the 5th Battalion, 20th Infantry Regiment, 1st Stryker Brigade Combat Team, 2nd Infantry Division, Joint Base Lewis McCord, U.S. Army Forces Command; and Pvt. 1st Class Rowan Lovell representing A Company, 3rd Battalion, 75th Ranger Regiment, Fort Benning, Ga., U.S. Army Special Operations Command. Finishing in third place was Sgt. 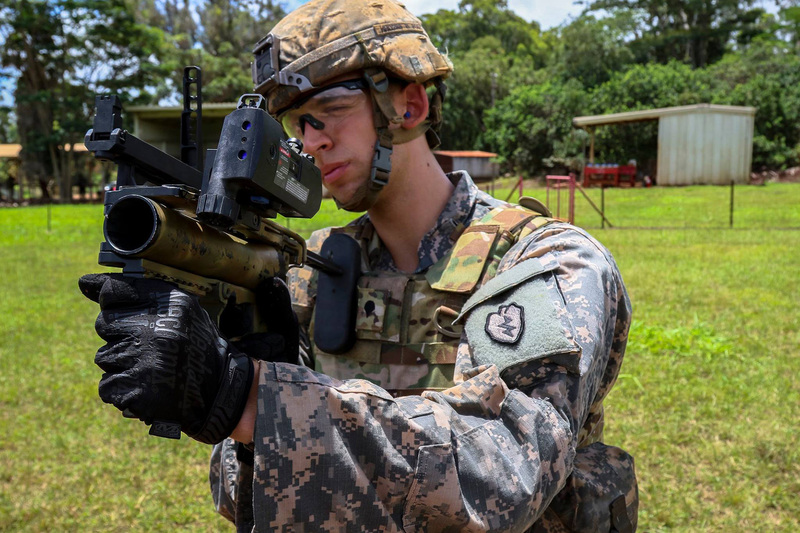 1st Class Benjamin S. Garcia representing the 2nd Battalion, 35th Infantry Regiment, 3rd Brigade Combat Team, 25th Infantry Division, Schofield Barracks, Hawaii, U.S. Army Pacific Command; and Sgt. Grant M. Reimers representing the 1st Platoon, 1859th Light-Medium Transportation Company, Nevada Army National Guard. 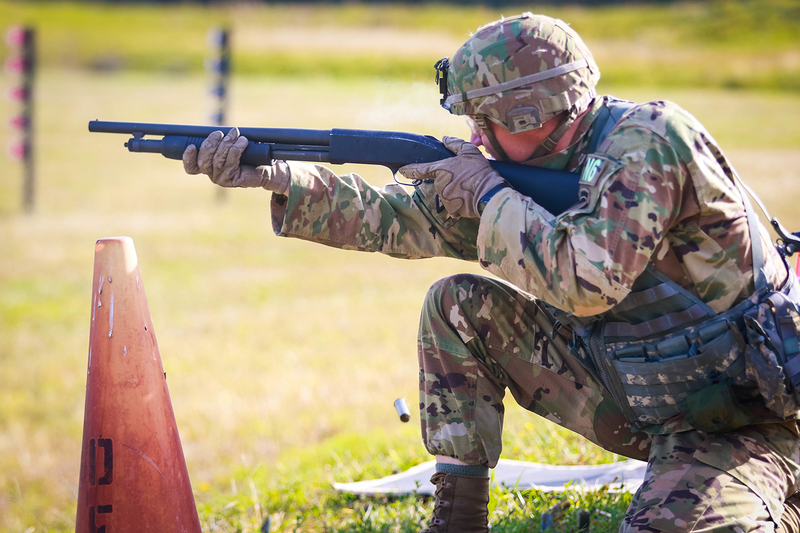 Noncommissioned officers and soldiers across the Army are now competing at the company, troop and battery levels, gaining the expertise to compete in next year’s Best Warrior Competition. 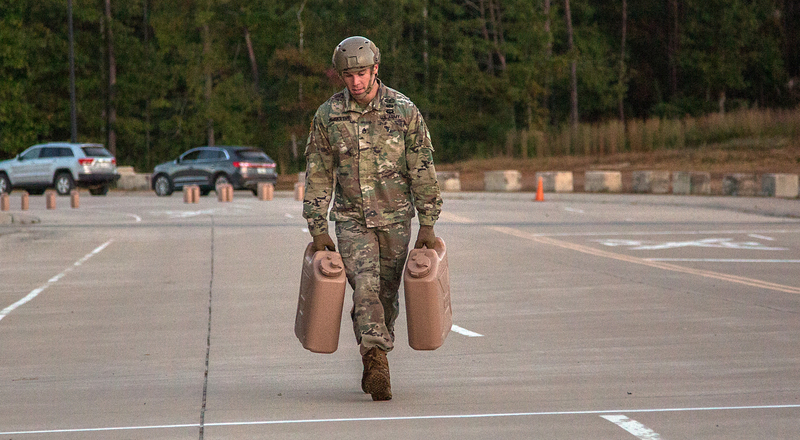 These competitions across the Army promote self-development, fitness and professionalism among our junior leaders and noncommissioned officers. These professional development events are occurring every day around the Army; across the nation and around the world. If you are interested in any of our professional discussions, this publication, social media, or our webpage, then join the team and be a member of the Army’s professional association.